At a periodic dental check-up, your dentist will inspect and analyse the health of your teeth and gums. In order to safeguard your oral health, we advise you to come to our practice every six months. In this way we can detect and help to prevent oral and dental problems in time. We combine your periodic check-up with an appointment for dental cleaning. This treatment involves cleaning your teeth, removing any dental tartar and polishing your teeth. We would like to prevent dental problems by caring properly for your teeth and ensuring good oral hygiene. Therefore, our periodic check-ups consist of two parts. First the dentist checks your teeth for problems and then the dental hygienist cleans your teeth. This combined check-up lasts 40 minutes on average. In order to discover and correct dental problems at an early stage, the dentist will examine your teeth and gums at check-ups. He will observe the condition of your teeth and check whether there are any cavities. In most cases the problems detected in time can be easily treated. If the dental problem is more complex, we will make a subsequent appointment in order to treat the complaint. In most cases you can make an appointment with your own dentist, although sometimes it will be necessary to refer you to a specialist within the practice. Our prevention assistants’ and dental hygienists’ job is to prevent dental problems and to keep your mouth healthy. They will remove dental plaque, dental tartar and stains. Then they will polish your teeth for optimal protection. 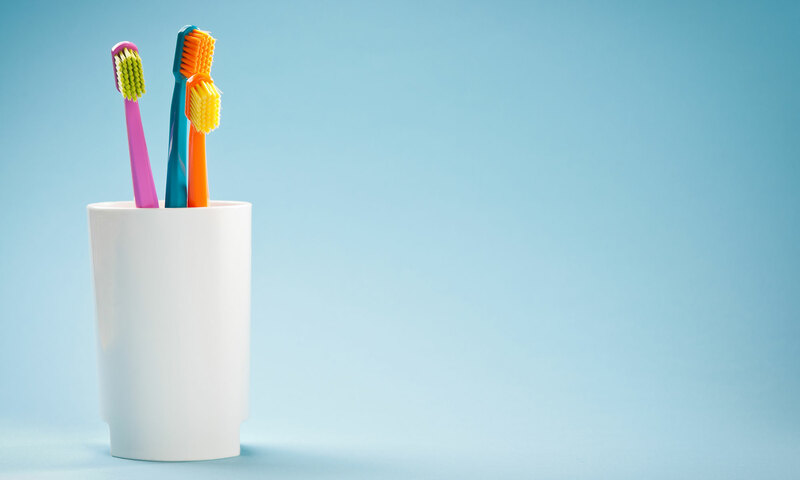 After cleaning and polishing your teeth, the dental hygienist will give you instructions on how to brush your teeth as well as dietary advice. She will explain why cavities are formed and what the cause of certain conditions can be. By following the tips, you are contributing towards optimal oral health and preventing problems. The fees for periodic dental check-ups have been established on a national level by the Dutch Healthcare Authority (NZa). The price for a dentist’s consultation is thereby the same for everyone. The cost of your treatment depends on the work that we perform. We have provided below an overview of the costs most often incurred during a consultation. The six-month dental check-ups are covered by the health insurance company’s basic insurance until the age of 18. From the age of 18 onward this varies per health insurance company: some reimburse the check-ups and some do not. Ask your health insurance company prior to treatment whether you are insured to avoid surprises. The objective of the periodic check-ups is to discover dental problems in time and to prevent them. In addition, teeth anomalies can signal other health problems, so we can also detect these in time. Dental check-ups every six months are not compulsory. You can also choose to come to our practice only when you have a complaint. We strongly discourage this because the problems will then be much more advanced, which makes treatment more difficult. Waiting too long for treatment of dental problems can result, in the worst case, in loss of teeth. How long does the check-up last? The periodic dental check-up itself lasts 10 minutes on average. In these 10 minutes the dentist checks your teeth and gums for dental problems. If you choose to make a combined appointment in which you are seen by both the dentist and the dental hygienist, this lasts 40 minutes on average. Is there anything I should take into account after treatment? In most cases, treatment is only a check-up and afterwards there will not be any problems. Your teeth can be rather sensitive after thorough cleaning. You can eat, drink and brush your teeth as usual. If fluoride has been applied, you must not eat or drink anything for one hour after treatment. If you would like to make an appointment for a periodic check-up, call 020 618 0074 and we will be pleased to schedule an appointment for you at short notice. You are welcome in our dental practice.